Manitoba-based Xplore Mobile will officially begin accepting new customers on November 14th, 2018, according to a November 5th, 2018 media release. 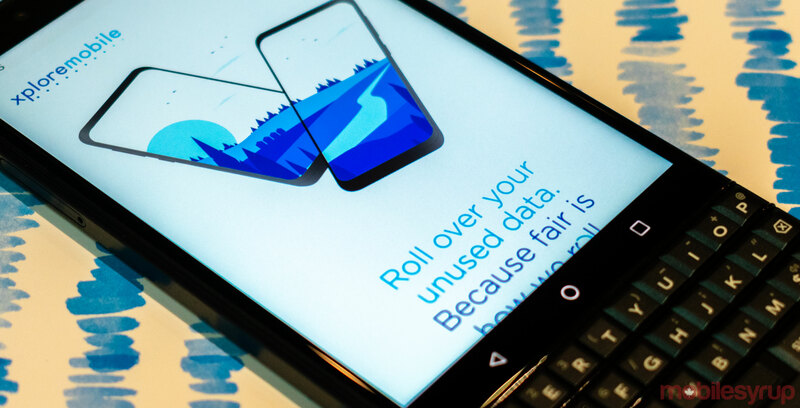 The carrier used its latest media release to unveil its ‘Rollover’ feature, which will allow subscribers to carry over a previous month’s unused data. Xplore Mobile’s plans begin at $35 per month, providing 2GB of Rollover data each month, including unlimited global text messaging and unlimited Canada-wide calling from Manitoba. The carrier’s recommended plan provides 7GB of Rollover data, unlimited global text messaging and unlimited Canada-wide calling from Manitoba. Each plan comes with voicemail, call display, call forwarding, call waiting, three-way calling and unlimited text messaging. Xplore Mobile currently only offers 10 phones — five from LG and five from Samsung, including the LG G7 ThinQ, LG G7 One, Samsung Galaxy S9/S9+ and the Samsung Galaxy Note 9. Subscribers can also bring their own phones and sign up for plans with no tab. MobileSyrup used Xplore Mobile’s phone compatibility checker to confirm that iPhone devices are compatible with the carrier’s network. Manitobans interested in signing up for an Xplore Mobile plan can do so by visiting one of the carrier’s five retail locations in Winnipeg or the carrier’s single Brandon space. At the time of writing, two Winnipeg stores and the Brandon location are open. Xplore Mobile expects that the three remaining Winnipeg stores will be open this week. Due to the terms of Montreal-based national service provider Bell’s May 2017 $3.9 billion acquisition of Manitoba Telecom Service (MTS), Xplore Mobile parent company Xplornet acquired approximately 24,000 former MTS customers. Xplore Mobile used approximately 20,000 former MTS customers to formally launch its wireless service in Manitoba. Manitoba’s newest wireless service provider says it plans on transitioning its base of 20,000 acquired subscribers in phases. “As part of the phased migration, these 20,000 customers will be the first in the province to have the opportunity to choose to roll over one month’s unused data allowance to the next month, with no strings attached,” reads an excerpt from the carrier’s November 5th media release.